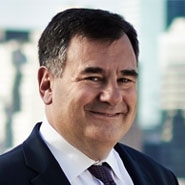 Southern District of New York Bankruptcy Judge James Peck recently ruled in the Lehman Brothers bankruptcy cases that a "flip clause"—a payment subordination provision commonly used in structured finance transactions that reorders payment priorities—was unenforceable because it violated the ipso facto and automatic stay provisions of the United States Bankruptcy Code. The ruling is likely to be appealed, and, if affirmed, will require participants in the structured finance market to reconsider how they structure new transactions to avoid this result. The transaction involved a synthetic collateralized debt obligation in which a Lehman-sponsored entity issued credit-linked notes, and Lehman Brothers Special Finance ("LBSF") provided a credit default swap. The notes were secured by collateral held by Bank of New York as trustee. The transaction documents, which were governed by English law, provided that LBSF had a first priority to the collateral, but under the flip clause, the noteholders would get priority in certain circumstances, including the bankruptcy of LBSF or Lehman Brothers Holding Inc. ("LBHI"). LBHI filed for chapter 11 on September 15, 2008 and LBSF filed for chapter 11 on October 3, 2008. Both of these events constituted events of default under the credit default swap, which was terminated on December 1, 2008, and triggered the flip clause. Perpetual Trustee Co. Ltd., one of the noteholders, then sued in England to enforce its rights to the collateral. While that litigation was pending, LBSF sued Bank of New York in the U.S. Bankruptcy Court, seeking a declaration that the flip clause provisions were unenforceable because they violated the ipso facto and automatic stay provisions of the Bankruptcy Code. On November 6, 2009, an English appellate court affirmed a trial court decision in favor of Perpetual enforcing the flip clause provisions. The English court reasoned that LBSF's rights to the collateral had always been contingent and therefore LBSF had not been improperly divested of any rights. The English court recognized, however, that LBSF was a chapter 11 debtor under the Bankruptcy Code and that U.S. law might affect the enforceability of the transaction documents. Judge Peck acknowledged the English courts' decision but found that the flip clause was an unenforceable ipso facto provision under the U.S. Bankruptcy Code. An ipso facto clause is one that is expressly conditioned on the bankruptcy of a counterparty. Bank of New York argued that the bankruptcy filing of LBHI—which was not the counterparty—triggered the priority flip before LBSF filed for bankruptcy, so the Bankruptcy Code's negation of ipso facto clauses did not apply. Judge Peck ruled that according the transaction documents, the "flip" in priority was not automatic, and that additional acts had to be undertaken in order to effectuate the priority flip after the filing of a bankruptcy. Because those acts had not been taken as of the date of LBSF's bankruptcy filing, he held that the automatic stay prohibited those acts from being taken after that date. Acknowledging that this was an issue of first impression, the Court next found that even if the priority flip provisions were triggered automatically, the flip clause would nevertheless constitute an unenforceable ipso facto clause, even though the priority flip would have been triggered on the filing of LBHI's bankruptcy petition as opposed to the filing of LBSF's petition. Accordingly, the Court found that the protections provided to a debtor against the enforceability of ipso facto clauses are not limited to instances in which the triggering event is the bankruptcy filing of a counterparty. Instead, the filing of another entity's bankruptcy petition could, in some circumstances, give rise to the protection of the debtor counterparty from enforcement of ipso facto clauses. Judge Peck recognized that his ruling on this ipso facto issue was novel because he relied on the September 15 petition date of LBHI—not the October 3 petition date of LBSF—as the trigger event for the ipso facto protections in favor of LBSF. He admitted that he had found no authority to support his interpretation, and that it risked opening a "can of worms." But he justified his ruling on the grounds that the Lehman Brothers cases are a "singular event." Finally, the judge ruled that because the provisions entitling BNY to exercise remedies regarding its collateral were not contained within the swap documents themselves, but in other agreements, the Bankruptcy Code's "safe harbor" provisions did not protect the exercise of those rights and therefore those rights could not be exercised without violating the automatic stay. This ruling, if upheld, could have significant implications for structured finance transactions. One rating agency has already announced that it is reviewing existing transactions to determine whether there are similar structures that may be impacted by Judge Peck's decision. Some of these transactions could be subject to ratings downgrades forcing some institutional investors to divest. We will monitor the appeal to keep you updated.